← SELFIES, an offence in Singapore? For the first time ever, six of RWS’s celebrity chefs have come together to create a six-course dinner in a magnificent setting at the S.E.A. Aquarium’s Open Ocean habitat, home to more than 50,000 marine animals. The Month of September seems to be the month for Foodies! In my previous post, i wrote about the Marina Bay Sands Hosting the Inaugural Sands for Singapore Festival in September and concurrently, the Resort World Sentosa is also back for some pumping actions in the kitchen! The six chefs, from the world’s most Michelin-starred chef Joël Robuchon to the first female Iron Chef of Iron Chef America fame Cat Cora, have each designed a course for this dinner. From fine French haute-cuisine to authentic Cantonese soup, diners can feast on the best that RWS has to offer at one seating. In a unique setting like no other, diners will also be enthralled by the magnificent view of manta rays, leopard sharks and goliath groupers before them in the Open Ocean habitat. Begin the exquisite dinner with Le Caviar Imperial by Joël Robuchon, followed by Steamed Marble Goby with Forest Mushroom sauce by Sam Leong, a nourishing soup of Double Boiled Cordyceps Flower with quail and conch meat by Chef Li Kwok Kwong, Salmon Roulade accompanied with sweet Hokkaido Scallop & Fried Octopus by Cat Cora, Beef Short Rib by Douglas Tay, and a sweet temptation of yuzu mango cremeux by Executive pastry chef Kenny Kong. OH MY GOODNESS!! HOW CAN YOU MISS THIS! 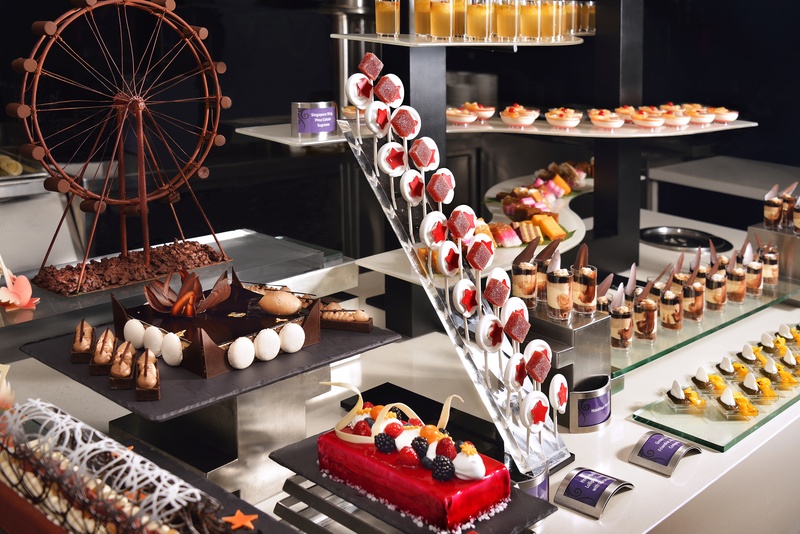 From 14th to 22nd September, step into Joël Robuchon’s world and taste the best of French haute-cuisine. During this period, diners may also have the opportunity to meet the legendary chef as he makes his rounds at the restaurants. Joël Robuchon Restaurant will introduce a ten-course Menu Degustation during the RWS Food Affair boasting exquisite dishes such as ‘Le Homard’ – roasted Lobster in black pepper ‘Malabar’ sauce – and ‘Le Bouef’ – Beef fillet in Rossini interpretation with Vintage Taylors Port and bitter salad sprouts. At L’Atelier de Joël Robuchon, a new six-course Menu Decouverte showcasing dishes such as ‘Le Crabe’ – seasonal crab meat on thin layers of turnip dressed with sweet and sour vinaigrette; ‘Le Bar’ – Seared Sea Bass with braised Fennel ‘Provencal’ style; and ‘Le Sensation’ – a pretty and delicate dessert of creamy araguani chocolate with Cocoa Sorbet and Oreo cookie. Ocean Restaurant by Cat Cora – At Ocean Restaurant by Cat Cora, a five-course set dinner will feature Iron Chef Cat Cora’s signature Mediterranean-Californian dishes such as Salmon, Scallop & Lobster accompanied with Cauliflower Puree; Sautéed Garden Peas & Shellfish Emulsion and Kurobuta Pork Belly and Fried Octopus with Sauerkraut Puree, Cabbage Roll and Spicy Mustard sauce. During this period, diners may also catch a glimpse of the friendly chef who has starred in TV shows like Around the World in 80 Plates and The Next Iron Chef. Osia – Helmed by Celebrity Chef Scott Webster and Chef de Cuisine Douglas Tay, Osia showcases contemporary western dishes characterized by the natural flavours and essence extracted from premium ingredients. For RWS Food Affair, award winning Chef de Cuisine Douglas Tay has set out to create a delectable menu with inspirations from Western Australia combined with Asian influences using fresh Australian produce. For mains, choose to indulge in grilled sea perch with Sesame Ratte Potatoes or Tasmanian Milk Fed Lamb Short Loin and Rib with Swede Carrot Puree. Along with Chef Douglas’s keen emphasis on precision and meticulous cooking techniques, expect no less than a spectacular feast for both the eyes and palates. Feng Shui Inn – The Man Han Quan Xi (满汉全席) was an imperial feast served only to emperors during the Qing Dynasty, with more than a hundred delicacies served over three days. Dine like a king at the RWS Food Affair, as Chinese Head Chef Li Kwok Kwong and his team of chefs have taken inspiration from this imperial feast and recreated traditional dishes with a modern twist. The six-course dinner menu will feature delicacies such as Double-Boiled “Changbai” Mountain Wild Ginseng with Farm Chicken and Braised Kurobuta Meat with Alaska Crab Claw. Forest森 – Forest森 redefines the art of Chinese fine dining, with a western approach to the presentation of its dishes. Local celebrity chef Sam Leong has created a six-course dinner featuring his signature innovative contemporary Chinese dishes such as Hot and Sour Seafood Broth with Hokkaido Sea-Urchin; slow-cooked Wagyu Beef Cheek with Spiced Cumin and Steamed New Zealand Cod with Yuzu Mushroom Sauce. 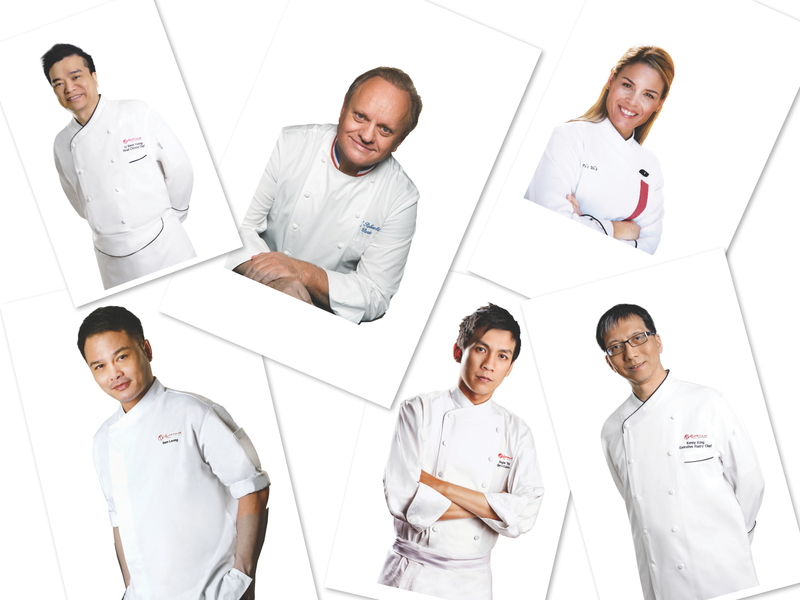 Sam Leong will also hold a special masterclass that comes with a four-course lunch. Tangerine – At Tangerine, the spa café located at ESPA at RWS, husband-wife duo Sam and Forest Leong have combined efforts to create dishes using nutritious ingredients and healthy cooking methods without compromising on flavor. For the RWS Food Affair, Tangerine will feature a lunch and dinner set featuring dishes like the fresh and healthy appetizer of Crisp Summer Green & Cress Salad dressed with Extra Virgin Coconut Vinaigrette, and Chef Forest’s Sous-Vide Salmon accompanied with Olive Dust and Confit Tomato and Green Pea Mash. This entry was posted in Advertorial, Entertainment, Food, Lifestyle, Travel, Wines and tagged Asia, asian, Cat Cora, celebrity chef, Chef, customer service, dining promotions, douglas tay, fine-dining, Food & Beverage, foodblog, foodporn, France, Home, hospitality, Iron Chef, Joël Robuchon, kenny kong, li kwok kwong, luxury, Marina Bay Sands, photography, Resort World Sentosa, restaurant, rws food affair 2013, sam leong, singapore, singaporean, thedrinkingmarket, travellers, travelling, wine pairing, Wine tasting, wineblog. Bookmark the permalink.